Select your insurance to find available appointments for this provider. My goal is to integrate my patient's values with scientific medical data to make medical decisions. I also strive to promptly respond to phone calls and emails from each of my patients. Dr. Lazar has been taking care of me for about 25 years and has never failed to be caring, considerate, friendly and professional. It was a good visit in that I don't need to go on a bp medication, not warranted. Together we came up with a plan for weight loss of about 15 pounds. We spent more than the usual time talking about test results, findings from other doctors, medicines. etc. Dr. Lazar is wonderful! Hard to get an appointment for a checkup with him though! Excellent Provider . Aways stays in touch via phone and/or e-mail. Dr. Lazar is exrtremely knowledgeable and thorough. All went well....very professional yet personal. As always. my experience with Dr. Lazar was quite good. I have been a patient of this office for at least the last 25 years, starting with Dr. X until he retired and Dr. Lazar took over. I really like Dr. Lazar, and Nichelle Pajeau as well. I am very comfortable with either of them. Efficient and succinct, and ordered a test for my issue. I am a long time patient of Dr. Lazar and always have positive experiences. I liked Dr. Lazar so much that I referred my adult son to him -- who also liked him a lot! Very thorough and knowledgable with a great bedside manner. Dr Lazar is compassionate and thoroughly professional. He has treated both friends and family members I've recommended him to. Dr Lazar has always been there for me and family when we've needed him, he is a credit to the medical profession. Dr lazar is an outstanding M.D. Dr Lazar is wonderful... he never rushes, answers all of my questions & really is an excellent Dr. We are very happy with his wonderful care! Dr. Lazar is a great guy, excellent listener, knowledge and a great sense of humor. Always a pleasure to see Dr. Lazar. He spends time with me and asks questions about my health. Dr. Lazar always listens to my concerns with interest & respect & responds in a caring way. He seems very well informed & well read on health matters. I hold dr Lazar in high esteem. He Always respons to portal questions in a very timely manner. I have a rare and Complex condition. Dr takes time to learn about and research and understand it. He also works well with other docs in my behalf.. Dr lLazar is professional while being compassionate and caring. an excelllent physician! Dr. Lazar is a wonderful doctor. He is always so pleasant, easy to talk to and discuss any medical cares and concerns with. You can tell that he really cares about his patients. Have been with this Doctor for Decades. Very good Doctor. Respect and trust Dr. Lazar. Moved from area 6 years ago and continue to be a patient of his. It's a 90 mile round trip for me to continue seeing him and I do so happily. Dr. Lazar has been my Primary Care Physician for over a decade. He is professional, a very good listener, often researches treatments for my conditions, and the best doctor I have had period. He responds very quickly though My Advocate email. I have made several recommendations amongst family members to consider him. Dr. Lazar a great doctor. Lab _____ have been quicker calling me. I Love Dr. Lazar. He takes the time to listen and help. Have been going to him for years and recommen him to family and friends. I have always had an excellent patient Dr. experience with Dr. Lazar. He has been my doctor for the last 18 years. Dr Lazar is very competent and personable. Professional and caring. He's very good at what he does. I feel confident in his care. dr lazar is more than my pcp. he has seen me through many medical situations over 20 years or more with the best of care. I had a positive experience with Dr. Lazar. He is easy to contact via secure e mail. It's always good. I trust Dr. Lazar. The appointment was for my annual physical. All went well. It was my first visit, he sims professional and very understanding. My dr. of 20 yrs. retired so I was nervous to meet/start with a male doctor. Dr. Lazar was a great communicator, listener & I'm happy with. Dr. Lazar has been responsive to all my health care needs. Dr. Lazar always takes the time to listen to my thoughts about my health, I don't feel rushed to get in and out. Dr Lazar is the best doctor ever. I have been his patient FOREVER and hope to remain with him FOREVER! Dr. Daniel Lazar is very professional and provides excellent care. I have been under his care ever since I started my profession in Occupation Therapy for about 21 years to date. He was recommended to me by one of my colleagues and I am doing the same to others. I am very fortunate to have him as my primary doctor. the best doctor I've had for many years. He is The one to see when you need professional, easy to understand, and caring answers. Always leave feeling better than when you arrived for the appointment. GREAT DOCTOR in your system. KEEP HIM. WE need his kind of wonderful service. I am not related to Dr. Lazar. Great visit. Dr. Lazar is great highly recommended. Outstanding approach Dr. Lazar is and I would highly recommend him! Dr. Lazar is a consummate professional, he has managed my health for years. Advocate has also been a very good organization. This was the first time I saw Dr. Lazar. Had to wait several days for an appointment which I expected. Felt Dr. Lazar was very thorough. He referred me to a specialist for treatment of my problem. I will definitely be coming back to see Dr. Lazar in the future. As always a pleasure to see Dr. Lazar who _____ excellent service. Dr. Lazar is an excellent example of what a doctor should be. He always answers emails usually in less than 24 hours, he takes time to listen and explains medical condition in easy to understand terms. He is a caring man and the best interests of his patients comes first. Dr. Lazar answered my entire list of questions, discussed issues I had from my previous visit, provided suggestions for exercise, and way more. I never felt rushed with the appointment time and continue to have great confidence and respect for him as my primary care provider. Dr Lazar was extremely thorough and he paid attention to every detail. I'm very impressed and am confident that I am in good hands with him. visits with dr. lazar are always excellent. My first visit. My Provider of 33 years had retired. This new provider Dr. Lazar superb!! Dr. Lazar is patient, a good listener, quite knowledgeable & gentle. this was my 1st time meeting Dr. Lazar, I absolutely loved him, I have already reccomend him to friends.he was personable, concerned and interested in what I had to say. loved Dr. Lazar. Very open and honest and Not condescending. Dr. Lazar ALWAYS gets back to me the same day whether I call or email him with an answer to my question. He explains everything so that I can understand. He is professional, pleasant and understanding and is always willing to listen. It was professional and I was completely satisfied. Seeing as this was my first visit with Dr. Dan, I haven't formed too much of an opinion yet. I liked him and the office staff just fine. I thought Dr.Lazar was excellent. It was my first time as we just moved here. He was very thorough and easy to talk to. Enjoyed my visit and felt Dr. Lazar is very knowledgable as well. Dr. Lazar is a great doctor. The only issue I have is that he's usually booked a few months out. Dr. Lazar is my original primary doctor but I have rarely seen him over the past few years due to his schedule being so busy. It was nice to see him again and hope that the availability continues. While I love the doctors and practitioners, the receptionists, while good this time, have been historically horrible. I cringe when I have to deal with them. Never very helpful and almost always with attitude. Maybe something changed or they were read the riot act. But they were better this day. Also, on my previous visit, I heard one of them complaining about the fact that someone had written a complaint about them, perhaps in the portal or online. They kept speaking about it in front of me and I thought it was unprofessional. But based on the past experiences, nothing unusual. I am very pleased with the care I get. I have been a patient of Dr Lazar for a long time. He is very personable and easy to talk to about my health concerns. I have talked about how satisfied I have been with his entire office to others. I have taken advantage of the patient portal to ask medical questions many times and have received a response very quickly each time. Dr Lazar is knowledgeable and easy to understand.I have and will in the future recommend his devices. one wonderful Dr! Dr. Lazar is always attentive and thorough. I never feel rushed and all my concerns are addressed. I'm very comfortable discussing any issues I may have. It was a good visit and got finished in a reasonable amount of time. It was for my annual physical. This was my first visit and was very impressed with Dr Lazar. I really liked that he brought up the possibility of going off the eliquis after the good results from my ablation in Sept 2017. I forgot to ask him about the Metropolol also. danny is extremely approachable, seems exceptionally detailed with his exams and treats me as though I am the most important patient. He had been a tremendous resource for my care. 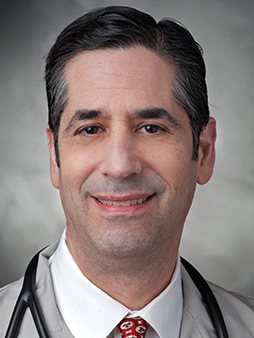 health eNews with Daniel Lazar, M.D.